General Overview of the I Am A Watchman Ministry – Welcome to I Am a Watchman! 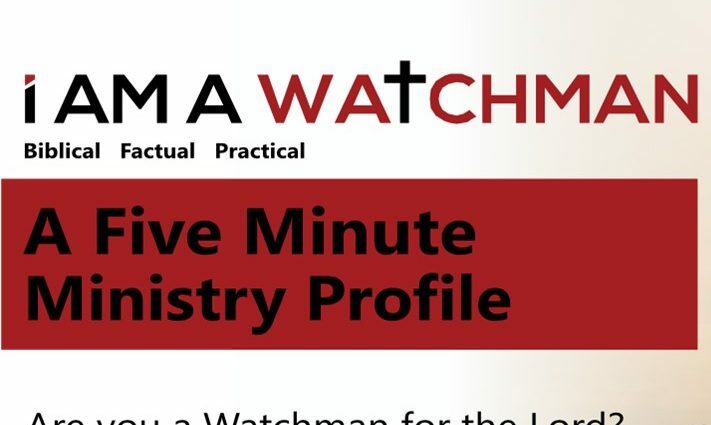 This five minute video presents a general overview of the I Am A Watchman ministry. The video profiles the ministry’s goals, vision, and plan to reach the lost, equip believers, and support those called to serve as watchmen.